My Benefit Brow Bar Experience.. | Becky Alyssa's Beauty Box. My Benefit Brow Bar Experience.. Happy September! Although most of the beauty world is harping on about Autumn, the ‘chilly’ weather and a sudden yearning for hot chocolate, I’m sitting around in my short-shorts in 22 degree (celsius!) weather eating ice cream. Got to love the sunny South Coast! Since I’ll be going away in just over a week, I decided now would be a good time to get my eyebrows sorted out. Honestly: I hadn’t had them done in years and after plucking them at home for so long I eventually left them to their own devices. Which wasn’t exactly pretty, since one was a little wonky and eliminating every single tiny hair with my tweezers eventually seemed like too much effort. Walking into the Benefit Brow Bar was a bit of an impulse, but due to their reputation I had high hopes. The staff are always really friendly and due to the brand name (rather than some anonymous salon I’d never heard of) I expected to be treated well and go home with great results to be proud of. My local Benefit counter resides inside Debenhams rather than having its own stand-alone shop. I was quickly greeted and introduced to the store’s very own brow specialist, who seemed a little rushed due to a ‘busy’ day but seemed friendly otherwise. Each appointment consists of a consultation prior to rushing away with the hot wax, so you have plenty of time to talk to the technician about what you want. There are 2 services available within the brow category: brow arching, which includes brow mapping to achieve a perfect shape followed with waxing and plucking, as well as a brow tinting option which is ideal for anyone with lighter brows who want a darker colour. I was recommended to stick with a simple brow arching. Overall my consultation was very relaxed – after sitting down, I explained that I’d been growing my brows out for a while and just wanted to tidy them up a little and make them more symmetrical, as personally I prefer a fuller brow. Finally she got to work! I was surprised I wasn’t taken into the treatment room which remained empty for my entire visit, as waxing is quite a personal thing and all the other visitors to the busy department store were staring. I’m not easily embarrassed, but I would have much preferred even just being behind a curtain for a little privacy rather than remaining out in the shop amongst the crowds of shoppers. The brow mapping procedure was very quick and simple, showing me with lines and dots of eyeliner on my face where my eyebrows should be, and where they were a little sparse. This was quickly followed by the hot wax, something that always makes me cringe; however it really wasn’t as painful as I thought it would be. Yes, my eyes watered a little (again, not the most dignified sight out in public for everyone to see) but it was easy to tell she knew exactly what she was doing and kept pain to a minimum. Lastly, any stray hairs were plucked for a clean finish. At the end I was given a mirror to admire the lovely lady’s work..and I could have cried! My brows were so thin; despite specifying that I like full brows and I’d been growing mine out for a long time, they were horribly skinny and just looked so incredibly silly. Another Benefit staff member passing by said they looked really good and that thin brows really suited my face; I felt the exact opposite. The brow technician wiped my brows over with a cotton ball soaked in almond oil which was supposed to encourage the sparse hairs to grow out – I’ve heard castor oil produces similar results when used over time so I’m curious to try that at home. She finished off my brows by filling them in using the Brow Zings kit in Medium – a little dark for me, I find the blonde/light kits complement the natural light ashy-brown parts of my hair the best, but it helped them look slightly less ridiculous (but only slightly). I’m not sure why she over-plucked and then drew in such thick, dramatic brows – once arriving home, my boyfriend laughed and said they did look a bit silly, like I’d been permanently surprised (gotta love his honestly). And like a true Brit, I begrudgingly paid £11 at the end of it all rather than kicking up a huge fuss – at least since the counter was located in Debenhams, I was able to add a few points to my Debenhams beauty card towards a £5 voucher to spend in store. Final opinions: Yeah, I won’t be going back any time soon! I liked that the staff still tried hard to be friendly despite being overwhelmingly busy and that a few different Benefit skin and makeup products were used (the eye makeup remover when my mascara ran, as well as the Brow Zings kit) which are normally out of my price range. The brow mapping procedure helped me understand where my brows should sit and it was surprising how wrong I had it before! However..unless the technician made a mistake and didn’t want to admit it, she did not listen to me at all! I said I liked a full brow and wanted a tidy-up and some reshaping; I left with the silliest skinny brows that I’m completely ashamed of. Yes, they look normal in the photo above but this was after all the additional makeup was applied and they looked a bit deranged in the mirror. £11 wasn’t too bad considering I was there for 15-20 minutes of treatment including the consultation, but a little privacy would have helped me feel better about the experience, I don’t want everyone I know in town watching me getting waxed in public. Here’s hoping they’ll grow back soon..where’s my almond oil?! Have you ever visited the Benefit brow bar? If not, would you ever go? Best/worst eyebrow experiences? Learn more about Benefit Brow Bars and find your nearest location here. This entry was posted in Uncategorized and tagged brows, review, treatment. Bookmark the permalink. ← The *Almighty* Summer Blog Sale! I’m so glad I have just read your post…….I’m now off to cancel my benefit brow wax appointment. It has taken me two years to grow my eyebrows back since having a bad threading experience. I’m pretty happy at the moment with my naturally thick brows but thought they could do with a tidy up and maybe a re shape but still keeping them thick. 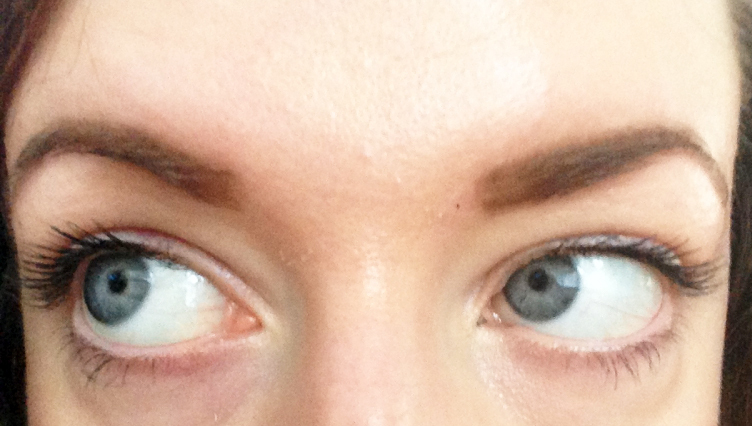 So, after tearing out a voucher for a free benefit brow wax (this months Look magazine) I made the appointment. But since reading this post and looking at a few before and after pictures on google I started to have my doubts. Why were girls going in with lovely thick brows and leaving with thin heavily made up ones??? THANK YOU so much. You have just saved my eyebrows that are actually ok.
Yay, so glad it was helpful! I’ve no idea why they pluck brows so incredibly thin and then cover them in so much makeup to make them look full again – madness! Much better to stalk someone you know with incredible brows and ask them where they get theirs done.